I’m Nicole Watkins, and I’ve been selling lakefront homes on Lake Winnipesaukee and in the New Hampshire Lakes Region for over 15 years. As a Berkshire Hathaway HomeServices agent in Moultonborough, NH, I have the resources to not only help you find and buy your dream home but to market and sell your home as well. As a 3rd generation homeowner on Lake Winnipesaukee, I have the local expertise to navigate the Lakes Region real estate market. Start Your Lake Winnipesaukee Real Estate Search - Contact me today to get started, or check out my Lakes Region Open House schedule. Browse my Recent Sales to see what I’ve been able to do for others in the Lakes Region. 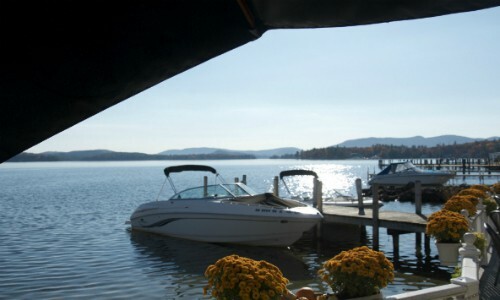 Learn more about Lake Winnipesaukee and the NH Lakes Region. Lot_Descriptionwaterfront, lake view, mountain view, natural landscape, gently sloping and level. DescriptionMeredith NH - Views, rolling lawn, pristine water quality and a great location for swimming all shine at this Veasey Shore Road property. The end-of-road privacy and 3+ acre lot with 200 feet of prime waterfront leave room for a tennis court or potential expansion. Views encompass Center Harbor Bay, the Ossipees, Mount Chocorua and "the Broads" stretching toward Wolfeboro. With a curving driveway on the roadside approach you have privacy yet a central location. A new 30' permanent dock, patio & 2 decks lakeside share the breathtaking views. The lake location allows for easy boating from your dock to popular lake destinations. The open concept kitchen/family room has entrances to 5 rooms, creating a beautiful flow. With 12 windows & French doors, the sitting room to your left opens to the sun room. This 23 x 15 ft. sun room is bathed in sunlight; your view is the breadth of Winnipesaukee. The 16 x 27 ft. dining room also has French doors opening to the lake. The library door is by the curving stairs; it features a full wall custom book case that also curves. The library's brick fireplace was inspired by the one in Henry Fonda's Manhattan townhouse. For car enthusiasts, the 34 x 35 ft. heated garage is spacious. Ceilings in the home are 10-16 feet high. Upstairs are bedrooms, family, and game rooms. Seller is moving to Florida and would consider the trade of an exotic car as part of the payment for this home. DescriptionGilford NH - Sunset views & Sweeping lawns both Lakeside & Roadside are Inviting Features! This Governors Island property has southwest exposure for a potentially light filled setting throughout the day. Exquisite hardscape, large stone patios, and a breakwater add to the charm. The stone walkway with wrought iron railing winds down from the paved road to your roadside home entrance. Graced with many tall pines and 150+/- feet of prime waterfront, this parcel is located in one of Winnipesaukee's most beautiful neighborhoods. The 1963, 5 bedroom, Cape style waterfront home has beamed ceilings, Queen Anne pine wainscoting, 2 fireplaces, and hardwood floors. Looking to build a new construction luxury home one day? Bring your builder to discuss development potential. Governors Island Club amenities include walking paths, outdoor tennis courts, playground, and a lakefront picnic area. The magnificent new clubhouse is under construction. Pickle ball and volley ball will be available near the Governors Island Club beaches for next summer. For nearby amenities, indoor & outdoor tennis courts, and an indoor pool are available at local gyms. An airport is also within 4 miles. Golf and skiing? Gunstock Ski Resort and the Laconia Country Club are both just 14 minutes away by car. DescriptionSOUTHWEST EXPOSURE, SANDY BEACH & BOAT MOORING guaranteed for 2019 just steps from your door. This beautifully renovated year-round home abuts the 2+ acre shared private waterfront parcel. Expansive lawns & sandy beach lead down to the docks and mornings. A great year round or vacation home, this meticulously maintained property has SW exp., sunsets, partial lake views and your own beautiful 1+ ac. landscaped lot. A dock or mooring are guaranteed, at min., every other year through the assoc. Tasteful interior design elements on the entry level are complimented by recent mechanical updates throughout, including a Rinnai hot water heater. Additional nearly finished space including a working 1/4 bath, bonus space, and laundry are in the heated lower level. The 18' x 20' screened porch addition, with insulated walls & ceiling, was part of a major exterior and interior renovation completed in 2012. The 360 s.f. sun room brings in sunlight, view, & and could easily be converted for year-round use. Low taxes & fees. Enjoy access to winter activities such as snowmobiling, ice fishing, and skiing. One of the best locations on Lake Winnipesaukee! 1.4+/- mile car ride to Bald Peak Colony Club. The abutting two acre private community space affords water views and access to the private beach lot. Approximately 13 miles from both Center Harbor and Wolfeboro. A tranquil haven on Winnipesaukee with prime waterfront & ideal exposure! DescriptionNestled in the Environs of Squam Lake, this .72 acre land parcel has west facing mountain views & sunsets. For 4 season fun, the location has easy access to many activities, including hiking and snowshoeing trails throughout the common acreage and over 1000 acres of rolling conservation land. Access to Squam Lake through its community social center at lake level, Riveredge Marina offers owners access, to day-docking, boathouses on Squam River, and a valet service with dry berths, and boat slips at an additional cost. Clubhouse & roof top deck are available meeting places as is the quaint town beach on Little Squam. 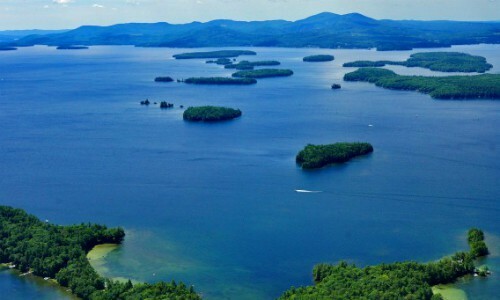 Boating to Big Squam Lake through the channel gives access to the most protected and conserved lake in NH. With 30+/-% of the watershed in conservation, Squam Lake reflects the sensibility of this development with quintessential NH charm. DescriptionMoultonborough NH - Level lot in a small subdivision within a 5 minute drive to the Town of Moultonborough beach at States Landing Looking for nearby amenities? This location is especially convenient for access to Castle in the Clouds, golf courses, Ambrose Cove Marina, The New Woodshed Fine Dining & Pub, and the Moultonborough Airport. Buyer will be required to pay for a sprinkler system as per town regulations. Prefer to search by location? Click the link below to view Lakes Region listings by town. Interested in a specific lake? Search listings on Lake Winnipesaukee & other Lakes Region lakes. Want to see what's been recently sold? Click here to view sold Lakes Region properties. Search for Properties by Boat! My boat is conveniently located near "the broads" on Lake Winnipesaukee. Searching for a property by boat is a great way to learn about the nuances of the different lake locations. Remember, when you're on the lake, the lakeside is your front door. Consider that When buying on Lake Winnipesaukee, the ease with which you can access many lake locations by boat should be considered. Learn more about this experience!